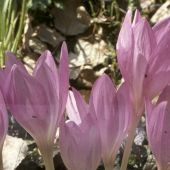 With their slim stems and large cup- or waterlily-shaped flowers, colchicum looks like spring despite flowering in fall. 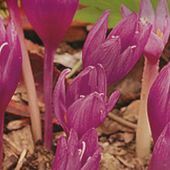 They're so eager to bloom, in fact, that they often don't even wait to be planted. 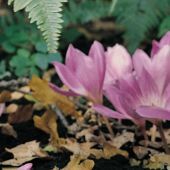 Achieve maximum effect by planting in waves across lawns, along forest edges or in sloped, massed beds. 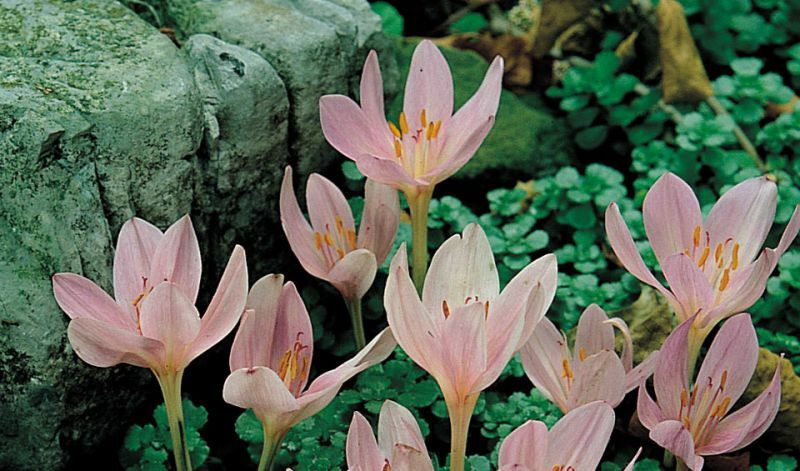 Being small, they're ideal tucked along paths or walkways. 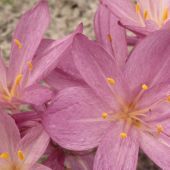 They do best in rich, well-drained soil and partial shade and will naturalize in most moderate climate zones. 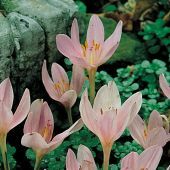 Being poisonous, they resist pests well. 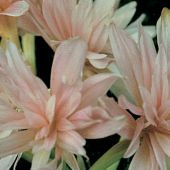 The flowers appear long after their foliage has died back hence the name 'Naked ladies'.